The audience for the December 17 Awards Ceremony in Moscow; All submission had been by photograph or video, but this audience enjoyed live performances. A True Parents magazine staff member based this on the contest website and Kazuha Canak’s article covering the awards festival. Something great took place in FFWPU’s East European Region recently. From October 1 through December 17, they held their second annual International virtual contest and festival for children and teenagers of the second generation. It is likely that every FFWPU region has second-generation members with artistic talent and skills, developed in schools or on their own initiative. Holding a contest like this rewards their efforts and perhaps reinforces their ties to the church. Our East European Region covers a vast portion of the earth. Thus, this competition took place by e-mail through videotaped or photographed submissions of various art forms. The contest brings together—not physically but in an online space—young people with two things in common. They have grown up in Unificationist families with all our idiosyncrasies and the issues that we grapple with, and they share a love for the arts. Certainly, seeing the entries of their competitors who come from a similar background and love a similar art form must be subtly comforting. The age categories were six to eight; nine to eleven: twelve to fourteen; and fifteen to eighteen. Mixed-aged groups competed as well. One category was for families to compete but blessed couples could not compete without at one of their children. Jury members that decided the winners of the contest as well as thousands of other viewers from different nations and continents were able to see the artists’ submission on the worldwide web at culturefestival.ru. At time of writing, the site is still accessible. Not only could viewers see them but their relatives and friends were able to cast their votes by posting a comment on their favorite entry. At the second annual Hyo Jeong Festival, held in Moscow on December 17 the person with the most comments received the Audience Choice Award. The winner was a rap group comprised of a father and his three sons. Even for non-artistic adults, watching the performances and viewing the various artistic works submitted is a special experience. Please visit the website. We know that these children are growing up in Unificationist households. We feel a sense of kinship with them and without speaking the same language, we can be proud of their efforts in honing their talents, delighted by their creative energy and feel a deepened sense of hope for the future by sensing the quality of character these young people display. These children reflect the investment of their own parents and likely that of Unificationist adults who directly work with members of our second generation. These are the people behind the contest itself. This years contest attracted 194 submissions. Above: The winners of the Audience Choice Award, a blessed family in which the father and the sons sang rap. A quartet of woodwinds plus a tambourine was among the winning entries with "La Magdalena." Each category of artwork for this contest had a curator. All are Unificationists. The curators were “managers who were responsible to facilitate the process of accepting all the art works from the participants, to help them load their materials correctly, to collect all the necessary information and to send it to the jury. They then collected the points from the judges and prepared information for the award ceremony.” The various categories that young people prepared an entry for and their curator (surname first) were the following: Choral and Ensemble Singing, Shurshilina Lilia; Dance, Galiullina Olga; Sports Show, Shidlovskaya Nadezhda; Vocal (solo), Zhuchkova Marina; Instrumental Musical Performance, Salmanova Oksana; Fine Arts, Naumova Nataliya; Theatrical Creativity, Nigmatyanova Marina and Authored Literary Works, Kosareva Nina. The organizers did an excellent job of providing clear guidelines as to what was allowable and what was not. Working with young people from many nations, they needed to instill confidence that the contest would be fair and that competent people were in charge of it. That they did. The criteria for evaluating the contestants were the spiritual culture and aesthetics of a performance or of the content of the work, the performance technique, the emotional level of the performance, the originality of the performance interpretation amd the level of artistry. All over the East European Region young people began painting or drawing, rehearsing plays, singing, seeking out fellow chorus members—all in preparation for this great event. Contestant were charged a small fee for each artwork they entered in the contest (up to three entries per person were allowed in a single category) but all fees were returned at the end of the contest. (15–18) Nikita Krylov, on a classical guitar played "Pilot" by Alfred Schnittke. It is the performance of a serious musician. (9–11) Maxim and Marina Timofeev sang "In the Forest near the Fringe" They harmonized beautifully. (6–8) Renata Skvortsova recited E. Moshkovskaya’s poem "Morning and Evening" in her room, near her doll house and stuffed toy animals on the video. Elena Kalmatskaya: My daughter was one of the participants of the Festival of Culture, which took place on December 17, 2017. First of all, I would like to recall that the competition was virtual, so that as many children as possible from the most diverse and remote cities of our large region had a chance to participate in it. 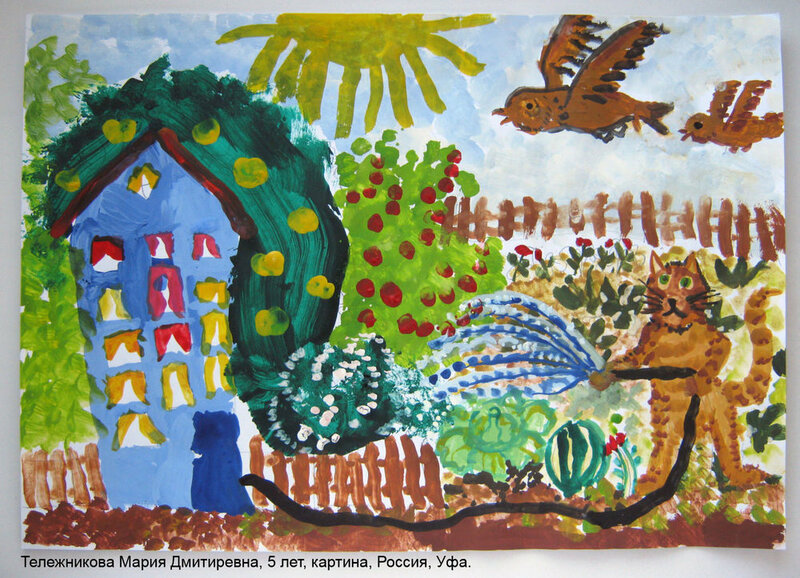 During October and November, the children's works appeared on the website. It was especially pleasant together with my children to feel amazed, rejoice and admire the works of other children of the second generation—those who live very far away from us, children whom I have never met. But this contest left a special feeling that we are all united by something special; we are a very beautiful family. I believe such events are crucially important for those second-generation children who live in the cities where there are just a few blessed families. On December 16–17, the winners came to Moscow, where some of them met each other for the first time. It was amazing that there was no competitive feeling between the participants. Often participating in various secular competitions with my child, I know perfectly well how great the desire of the child is to win. At the Festival of Culture, the main thing was really not a victory, but an opportunity to bring your talent, long diligent laborious work as an offering of thanks to God and True Parents—to bring a piece of one’s work into the bigger picture. The final event, of the Festival was a very interesting story of two young wizards who are going through difficulties to return their magic to this world. Every performer of the final concert would give them a piece of the magic from their art. It's really great to see so many children and teenagers talented in different kinds of art. It’s great to see them hard working, motivated to achieve their goals, but even more beautiful is to teach our kids to do this not for their own personal glory and success but to be a living example of God establishing new culture in this world, to testify to our True Parents' lineage becoming a bright light already today. 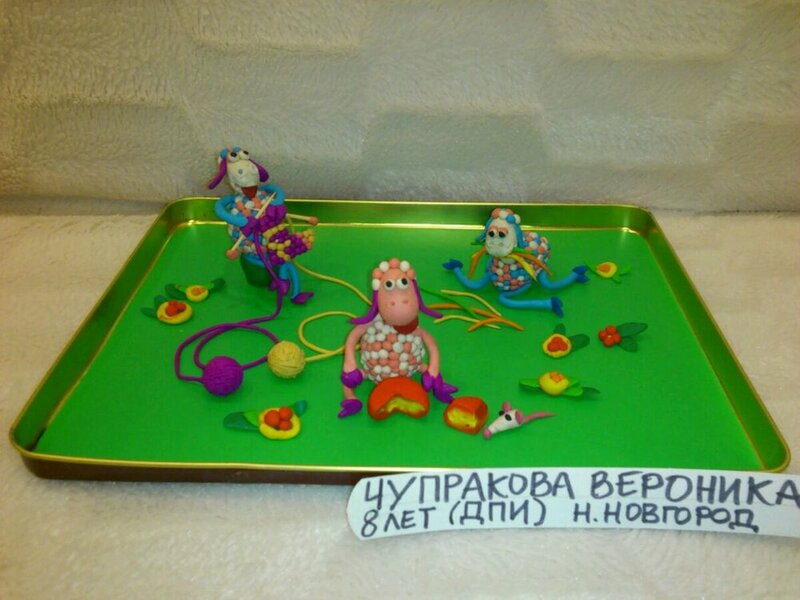 Olga and Vitaly Vakulinsky: As parents of three daughters we really appreciate all the sincere effort that was made in preparation for the Unification Culture Festival. It has been held in our region since 2016 and has become an event that people really look forward to. We consider it a very unique and precious opportunity for all blessed children from all countries and cities of our region to show their talents and to get to know each other better. It was also a very good idea to make it possible for us to put “likes” or comments under the performances that could be seen online. In such a way, members and blessed children from different places could support and encourage each other. We feel this kind of event brings blessed families closer and helps us feel more united. Best performers were invited to the main show that was held in Moscow. This is a very good encouragement for children to improve and to develop their talents more. We would like to sincerely express our deep gratitude to all the organizers and hope that this festival will be held every year. Ironically, regarding the medical profession, in hospitals that introduced music and art to help patients heal, doctors, nurses and general hospital staff have found that they, too, experience more joy in life. Among hospital patients, the introduction of music and art has provided such positive influences that clinical outcomes improve, the amount of drug consumption needed to heal patients declines, patients spend less time in the hospital convalescing and they tend to have a more optimistic outlook on their own recovery. Meanwhile, concerns are rising that the strict focus on science alone in medical schools is leading to sometimes inhumane medical practices and caregivers that are unable to connect well with those they are caring for. Health professional who receive arts-based education in medical school or who practice in health facilities that employ the arts in healing report that they develop a deeper sense of empathy for patients and particularly notice they can more easily connect with people from cultural backgrounds far from their own. For an organization that wishes to love all humanity and re-create one human family under God, how valuable is that people in the secular world are testifying about a means of feeling empathy for those from different ethnic or racial backgrounds? How wonderful it for we that wish to see one family under God that our blessed children have access to the arts.